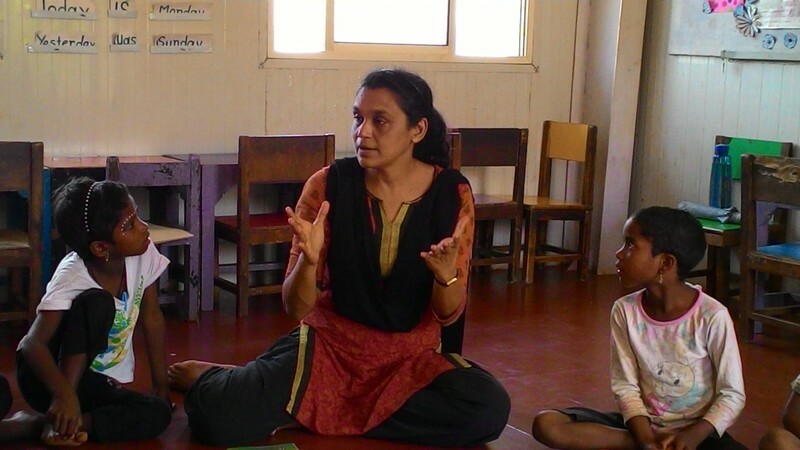 Nabanita Deshmukh is a teacher, a teacher educator, and a writer of children’s stories and poems. 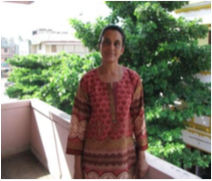 She had been a consultant at Azim Premji Foundation, Pondicherry and has worked with government school teachers on interactive methods of teaching. Nabanita has been instrumental in introducing Stories and Language Games as a means for developing language skills in primary level children. 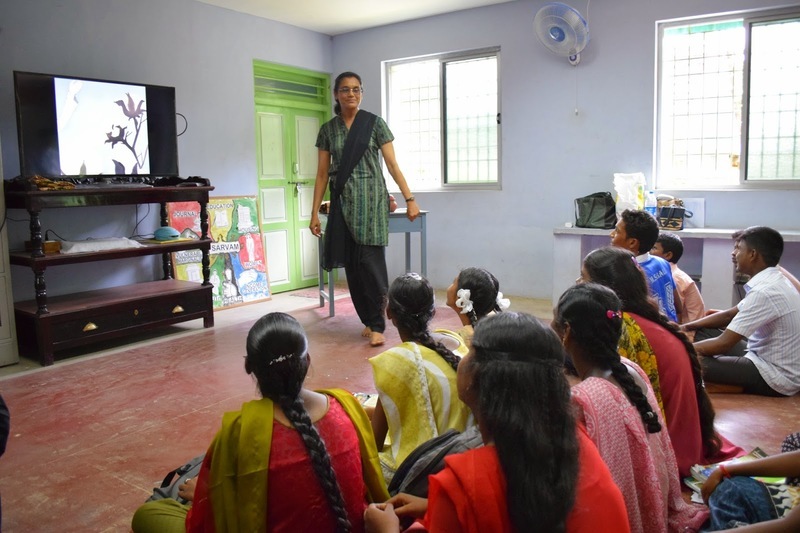 She has also conducted workshops for teachers and students in Odisha, Pondicherry, Kerala and Arunachal Pradesh on creative writing, storytelling and classroom games and other alternate modes of classroom teaching such as the use of magazines for the improvement of English. She conducts teacher interactions on motivation and classroom management. She contributes stories and articles to magazines and publishing houses like Chandamama, Bal Vihar, Children’s World, Children’s Choice, Children’s Digest, Pratham Books and Matrubhumi. You can read her books 'Why Do Bees Buzz?' and 'Why Can't We Glow Like Fireflies?' on StoryWeaver. I am just back from a long teacher training tour in Chattisgarh and western Odisha. The main focus of the workshops was the enhancement of language and literacy skills through interactive modes such as stories, poems, skits and songs. In this context Pratham's Adi Kahani series and the online Storyweaver platform came in handy. Stories from this portal were shown to a group of primary school teachers and teacher educators from various states of India. Here is an example of how one of the presentations took place. The session went through three stages: pre-viewing, while-viewing and post-viewing. The 'First House' story was chosen for the demo. In the pre-viewing stage, I first showed the cover page to the participants and they all had to guess what the story was all about and where it was set. This pushed the teachers to observe the illustrations and the printed details carefully. Later they guessed that the story took place in a forest and it was about two tribal men. Pre-reading or pre-viewing stages always help break the ice and familiarise readers with unfamiliar settings, characters and vocabulary. If teachers used prediction like I had done with the cover page of the book, students would surely show more interest in reading a story. 1. In which state of India do you think this story is taking place? 2. Which creatures do the characters meet when they come out of the cave? After getting the answers from the participants, the entire story was projected on screen and the participants enjoyed reading it. They also loved the colourful illustrations and the different options the story presented. I finally read out the paragraph on the Singpho tribe printed at the end of the book and made the teachers use atlases to locate Arunachal Pradesh and its physical features on the map. Some teachers even attempted to translate the first few lines of the story in their own mother tongue-Kannada, Tamil, Bengali and Chattisgarhi. The Adi Kahani stories in the Kui language were used in Odisha with primary school teachers who taught children of the Munda tribe. This tribe speaks the Ho language. Despite not knowing Kui, the tribal and the non-tribal teachers reacted favourably to the stories. For example in the stories of the fox and the pitcher and also in the fox and the chicken, the teachers appreciated the use of local settings, objects and characters. They thought these would help children understand the story better as the surrounding is familiar-rivers, foxes, cowherds, women carrying wood, earthen pots are all so familiar to village children no matter to which tribe they belong to! The story of how the rabbit got its long ears became an instant favourite among Munda teachers and many felt the folktale could be made into a skit. It was a great experience using Pratham Books and the Storyweaver platform during my training. More Odia translations of stories and Munda tribe folktales written in English and then translated into different languages will be most useful. I just came to know that the Ho language has a script. Heartening, isn't it?